What Power Do Security Guards Have? | COP Security, Inc.
What Power Do Security Guards Have? Posted March 16, 2018 by barton_secure & filed under Security Guards. What power or authority do security guards have? While their authority is not on par with police officers, they are able to enforce many similar things. Take, for instance, rules at a private residence or a business. Whatever rules the owner has made are the rules a security guard can and should enforce– as long as the rules are legal. Some typical rules might include posted ones like “no shirt, no shoes, no service” or “no loitering.” Security guards need to be fair and consistent with the enforcement of rules. Oftentimes, security guards ask people to “leave the premises,” especially if they’re causing a disturbance. This is a normal function of a guard, and one that’s perfectly acceptable. Once in a great while, if a person refuses, a guard might need to use reasonable force to remove someone from a certain area. If, for example, the person becomes violent, then it’s time for the guard to call the police and have them deal with that person. It’s not unusual for a security guard to call police to have them come arrest people who are doing something illegal. What if someone is literally attempting to rob a place? Or they’ve shoplifted? Does a security guard have the power to arrest them? Not exactly, but they can detain them and perform what’s known as a “citizen’s arrest.” This sort of detainment/arrest can only be done if the guard has witnessed the crime or has reasonable suspicion that one occurred. Obviously the police have to be alerted within a reasonable period of time, so then they’ll deal with it. “Reasonable” means police should arrive within an hour– not something unusual like eight hours later. 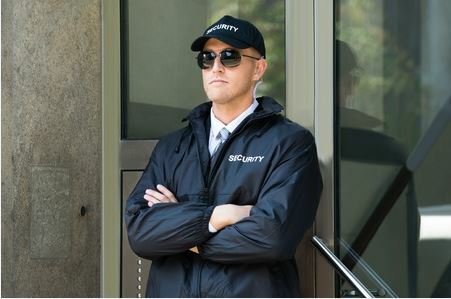 Security guards serve an important role in the lives and businesses of many people in many places. From schools to mansions and churches to malls, security guards are everywhere, watching over people and doing the best to keep the peace. Furthermore, they help prevent theft, vandalism and crime in general. If you need security services, please contact C.O.P. Security of Rochester, NY, at 585-750-5608.